What a surreal day! I spent the morning in Toronto with our friend Anshu, trying to catch up on the sleep I didn’t get last night (as if that will happen — you can’t regain what is lost). I’m super excited about the next few days, and sleep wouldn’t come to me easily. So I tossed and turned, catching a few winks here and there. And before I knew it, slaDE was home from his half day at work and we were zipping off to the airport. As Judi, the copywriter for the advertising firm designing our fabulous photo shoot says: “There’s something exhilarating just about being on the move – but even better when the flight is on time and the hotel is cool :-)”. Indeed, our hotel, the Opus, is in the heart of Yaletown and is über fabulous and chic in a trendy and modern sort of way. 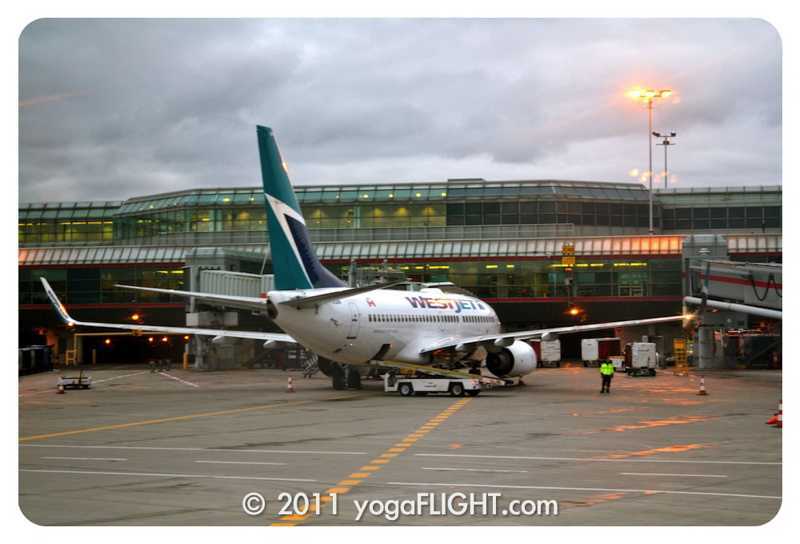 Better head to bed … 6am and a full day of partner yoga will make for a tired sKY if not fully rested!